My love for Mindy Kaling is pretty obvious to those that know me. My brother, a recent parent, emailed me this article which discusses how The Mindy Project has been handling parenthood this season. While it was a good read, I did not find myself agreeing with the author. It made me think about the way women and parenthood are depicted on television. Though there has been a recent trend of authentic shows, The Mindy Project strives to be anything but real. Mindy Lahiri has always been a little bit ridiculous and just out there. If Mindy and TMP wanted to portray parenthood accurately, it wouldn’t be authentic to the show itself. For a real take on parenthood, the author should be looking at dramas like Parenthood. Don’t look to a comedy show about a woman who is trying to find the Kanye to her Kim to be authentic about a lot. Personally I found TMP’s take on parenthood to be refreshing. As someone who isn’t a mother, it was quite nice to see a woman become a parent but not let it change or consume her. Mindy is still the same person she was before she had Leo, just that she has a little human she is responsible for. Ultimately at the end of the day people turn to television as form of escapism. I know I don’t want to watch a show about a woman that goes to work and watches Netflix at night. That is the life I live so when I turn to TV, I want something that takes me to another world. This season of The Mindy Project has been my favorite by far. I’ve loved to see the way Mindy, who wants nothing more than to find her happily ever after, is handling her new role as a single parent. Her life has taken turns she has never imagined and while she is struggling and hurting, she is learning to overcome and come to terms with her new life. It’s still a comedy show, but there have been a few heavier moments which the show has handled impeccably. Have you been watching The Mindy Project? What do you think about TMP’s take on parenthood? To say I was hesitant to watch a Lifetime show is an understatement. But wherever I turned I was seeing the buzz for UnREAL, especially upon it’s renewal for a second season. Since I was in the need for a new summer show (I had been rewatching Parks and Rec, #amiproblems? ), I decided to give UnREAL a REAL shot. Besides I’ve been a Shiri Appleby fan since Roswell, so I knew I had to watch for her alone. The setting is a fictional reality show dating competition (think The Bachelor) and the characters are the cast and crew. It’s a smart look at the reality show industry. You realize how the contestants are manipulated to act certain ways that will result in the biggest drama and therefore the higher ratings. Each contestant is immediately given a persona by the production crew, ie the virgin, the villain, the single mom, and so on. UnREAL is an eye-opening look at the brutalities of reality shows. It’s cruel, calculating, and probably not too far-fetched to imagine that similar things happen on actual reality shows. There’s also moments of sharp humor and wit to balance out the drama. I would say I am enjoying UnREAL so far. It’s a smart show with a gripping underlying message – reality isn’t always what it seems. Have you been watching UnREAL this summer? What are your thoughts? I feel like it’s been a really good year in terms of diversity in television shows on primetime networks. Considering it’s 2015, I would say it’s about time! Along with Jane the Virgin (which I talked about previously), I’ve recently started watching and enjoying Fresh Off the Boat and Black-ish. Fresh Off the Boat is about a Taiwanese family and the struggles they face trying to achieve the American Dream. It’s devoid of cultural stereotypes (for example, one of the kids loves rap music), accurately portrays the confusion many immigrants face, while also being hilariously funny. Another thing I enjoy about this show is that it’s based in the 90s, which feels like an ode to the greatest decade. It’s a relatable show for any immigrant or children of immigrants. In this week’s episode the oldest son is forced to be friends with the only other Chinese guy in his class, except they have nothing in common. It’s really refreshing to see a show that doesn’t portray all minorities as similar. Do you enjoy Fresh off the Boat and Black-ish? What are some similar types of shows out there? I’d love to know so I can check them out! I admit I used to be a Chris Brown fan. I loved the song “Forever”; I would sing and dance when the song came on the radio while I was driving. I recall being excited that The Office used Forever in Jim and Pam’s wedding. And then the news broke that Chris Brown had physically assaulted Rihanna on the night before the 2009 Grammys. After that, I stopped listening to him. Instead of dancing every time his song came on the radio, I would swiftly change the station. I understood that this is no way affected Brown, but it was my way of protesting him and his actions. Fast forward three years later to last night’s Grammys, where Brown was in attendance. It is unfathomable to me how he can be asked to attend, perform, and even win. Not only that but the Grammys executive producer is happy about this fact, stating “If you note, he has not been on the Grammys the past few years and it may have taken us a while to kind of get over the fact that we were victim on what happened.” Say what. So the Grammys are the victim because they were left scrambling to fill the spots set aside for Brown and Rihanna in the 2009 awards and not Rihanna, who was hospitalized. What was more disappointing to me, however, were the comments from my peers. They ranged from “I can’t believe Chris Brown won for best album..it wasn’t even that good” to “Chris Brown is not a good live performer”. Very few people expressed disgust at the fact that Brown was even at the Grammys. Does anyone not remember how badly Rihanna was beaten? Do they not recall his lack of remorse in the weeks after? Is everyone suffering from a case of short-term memory loss? Many people would defend Brown by saying they separate the artist and the person, but I don’t buy that for a second. Two reasons why: Isaiah Washington and Michael Richards. Washington, who played Dr. Burke on Grey’s Anatomy, was promptly fired from the show for using a gay slur against a co-worker. Richards, who played Kramer on the hit show Seinfeld, went off on a racial rant during a stand up show and was videotaped doing so. Both actors have virtually disappeared in Hollywood (with good reason). No casting director in their right mind would hire them; their careers are essentially over. So why is Chris Brown still famous? By letting him still make music and attend high-profile events like the Grammys, society is saying that it is okay to hit a woman — there are no repercussions. What kind of message is this sending to young girls everywhere? This is an idea. Sad, isn’t it? I can’t see myself ever liking a Chris Brown song again even if it is the most amazing song ever, but that’s just me. How do you feel about this? Do you still listen to Brown’s songs? Why or why not? For more on Chris Brown, read Sasha Pasulka’s well-written article on the topic. Everyone has bad days. After all life is all about the peaks and valleys, the highs and the lows. What I find acceptable completely necessary is to wallow in it (high five to those that got the Gilmore Girls reference). I’ve found the best way to do this is to read a good book, get a good laugh, and indulge in a guilty pleasure. I absolutely love starting a new book. Even more, a good book is synonymous with comfort and escape, two perfect things when you are not having the greatest of days. 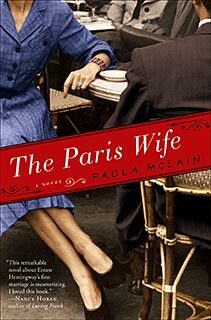 My current read, The Paris Wife by Paula Mclain, is exactly that. The Paris Wife, set in the 1920s, tells the story of the writer Ernest Hemingway’s first marriage to wife Hadley Richardson. Perhaps it is my last post, my love of historical fiction or literature that drove to me download this book. It is a great look back at what life was like the 20s and particularly in Paris: plenty of jazz and many decadent parties. Not a bad way to escape, right? 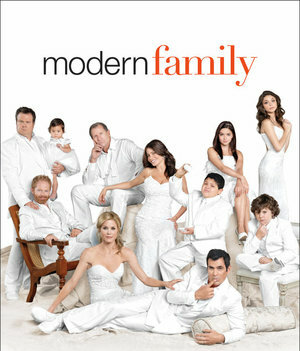 Modern Family is one of the best shows on television and they have the awards to prove it. I became hooked when it first came out and proceeded to get everyone I know hooked on it as well. It consistently makes me laugh week after week. Whether new or old episodes, I can always rely on the show to give me a really good laugh to snap me out of my funk. 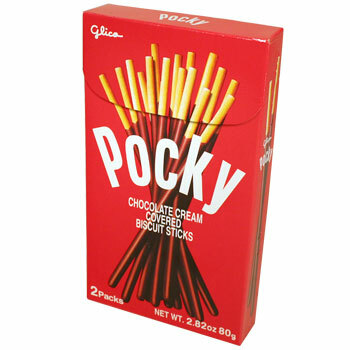 I discovered Pocky on a whim while at an Asian grocery store a few years back and since then I’ve been hooked. The chocolate with almonds are my favorite, but I’m not picky. Another of my guilty pleasures is the television show Revenge. I’m obsessed with the show and the pretty scenes and people serve as a wonderful distraction. What are some of your tried and true methods to getting over a bad day? Who watches TV shows on the TV? I watch a lot of TV shows and this fall I’ve added a few new ones to my roster (Pan Am and Revenge, particularly). This article, posted on Adweek, discusses how the ratings for many TV shows have been dropping. 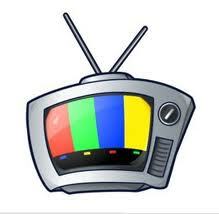 It made me wonder: who actually watches TV on the TV anymore? Personally, in the past three years, I’ve rarely watched a TV show live. Most of the time I watch my shows on Hulu or the channel’s website. If I do feel like watching the show the day it airs I DVR it, wait 20 minutes, and then start so that I can fast forward all the commercials. It has a lot of advantages such as being able to watch a TV show exactly when I feel like it and not having to wait for a specific time and day. With people busier than ever, it’s hard to wait for a specific time and day to watch a show. I do feel bad, especially when some of my shows have low ratings and are relying heavily on viewers. But then I remember that I don’t have a Nielsen box anyways. I believe that the Nielsen box is an outdated audience measurement system. With so many different avenues to watch TV shows now like computers, smart phones, and video game portals Nielsen no longer paints an accurate picture of a show’s audience size. How do you watch your TV shows?